Keeping personal tabs on the work you have done to your car can be a pain. A few of our customers have said they like to keep receipts in the glove compartment so they can look through them when needed, but that’s no real filing system. You could do just as well scanning your maintenance receipts and putting them into Dropbox or Evernote, or whatever other note-taking tool you prefer. Car Maintenance Reminder (Android) is a free app that will keep track of your fuel efficiency, cost, and mileage, but also gives you a place to track all of the maintenance and repairs you have done to your vehicle. You can add notes, costs, and of course, get notifications and reminders when you should get some work done. The free version tracks one vehicle. If you have more than one, the $3 pro version is for you. 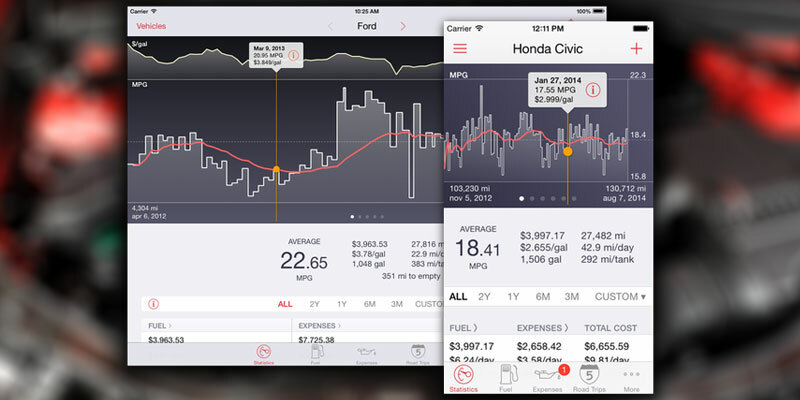 AutoCare (iOS/Android): AutoCare has been around for a while, and does a pretty good job of tracking your vehicle’s maintenance history, mileage, repair history, service expensives, and more. You can even use it to remind you when it’s time to get something specific done so you won’t forget. Plus, it supports multiple vehicles. It’ll set you back $4 for iOS users, and $2 for Android users. Car Minder Plus (iOS) is another good, simple app for tracking your mileage and your vehicle maintenance. You get presets for things like oil filters, air filters, belt inspections, and oil changes, and you can enter in your own maintenance work and expenses to the log to keep track of what you’ve had done. From there, enter in your service intervals, and the app uses simple red/yellow/green indicators to tell you when it’s time to get that work done. The app will cost you $3. aCar (Android) is free, and one of the most popular Android apps for tracking vehicle maintenance and mileage. Tracking fill-ups and mileage is quick, entering in your maintenance history and expenses is easy, and you can even enter specific notes or information about parts you prefer or that your vehicle requires. The app notifies you based on time and/or mileage when you should have work done, and supports custom notifications. aCar Pro adds in multiple languages, home screen widgets for quick access to data and logging, and connections to other popular car apps and websites, all for $6. Is My Car Ready for Summer?